State regulators are once again calling into question the safety record of Puget Sound Energy, the utility that supplies natural gas to Seattle and surrounding areas. Yesterday’s explosion in Greenwood, one of the biggest in Seattle’s recent history, marked a setback for a utility that has spent over a decade trying to improve its safety record. Investigators are still searching through the wreckage in Greenwood, trying to pinpoint the exact source of a gas leak that could have fueled the explosion. Many gas leaks begin when people break through the sides of gas lines while digging on public or private property, but some begin when old, buried pipes corrode and lose their structural integrity. Puget Sound Energy reported that 28 gas leaks were caused by corroded service lines in 2014. In 2004, Puget Sound Energy settled for $8 million after a corroded steel pipe went unchecked by Puget Sound Energy, resulting in an explosion that destroyed a Bellevue home and caused the death of its resident, Frances Schmitz. Puget Sound Energy also paid a $90,000 penalty to the state over that incident for mis-wiring an electrical device called a regulator which may have contributed to the pipe’s corrosion. Fortunately, no one is known to be missing or critically injured after yesterday’s explosion, which was so powerful that it was picked up on the Pacific Seismic Network and the sound of the blast was heard as far away as Shoreline. Nine firefighters sustained mild injuries and were transported to a local hospital, but released the same day. 36 businesses in Greenwood are recovering from yesterday’s explosion, which destroyed the buildings of three local stores, blew out storefront windows, and scattered debris across the neighborhood’s most popular pedestrian destination. Firefighters are still inspecting nearby buildings for structural integrity, and the neighborhood has been cordoned off to building owners until it is deemed safe. Neighbors are already coming together to help restore the neighborhood, even though it’s too early to begin cleanup or even to return to the damaged buildings. 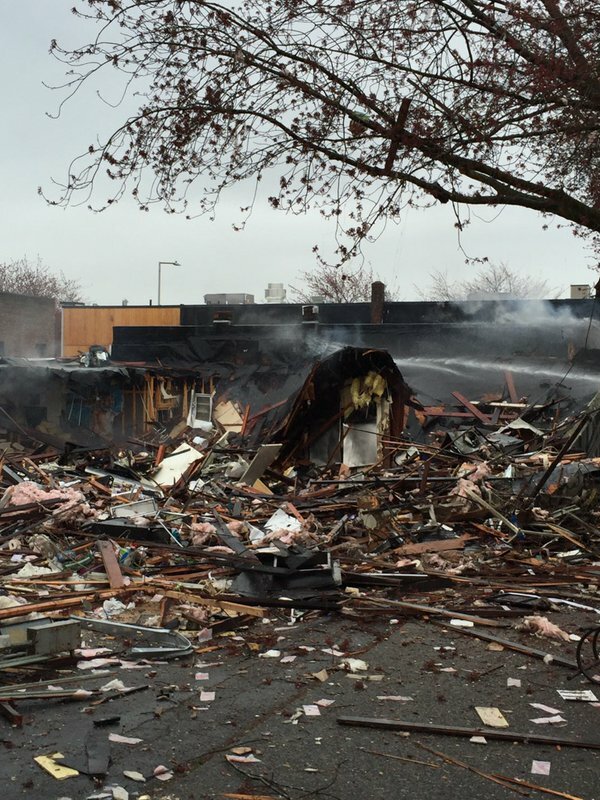 The Phinney Neighborhood Association has set up an online fundraiser to help people whose livelihoods were affected by the explosion. The page also has a list of fundraising events and initiatives around the city at venues like Naked City Brewery, Lucky Envelope Brewing, Populux Brewing, Taproot Theatre, and the Heavy Restaurant Group. Several community members have also set up donation pages on crowdfunding platforms GoFundMe and Fundly. As usual, do your homework before donating to a fundraiser on a crowdfunding site; if possible, call the person or organization who claims to have set up the fundraising page to make sure it is legitimate. Looking for more information about Seattle's infrastructure, safety hazards, and the future of our rapidly changing city? Check out Safer Seattle, Davis Law Group's news site written specifically for Seattle residents.